Hey! After the acupuncture session and taking the Chinese medicine for two weeks finally here is our Acupuncture Experience & Review @ The Tole Acupuncture Herbal Medical Centre. Still remember Vera and myself the try out the TCM - Tole Acupuncture Herbal Medical Centre some weeks ago. I have gassy stomach and indigestion problems, perhaps is due to my irregular meals. Sometimes it is bearable but sometimes not so. On and off I feel that my stomach bloated. I get dizzy and nausea easily too. 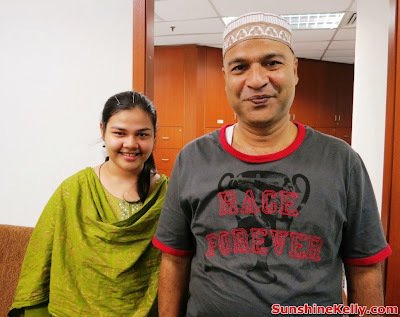 When I when for my acupuncture at Tole Acupuncture Herbal Medical Centre; Dato Master Leong consulted me. He did some check up and pulse reading. Then he commented mine is not severe, I just need some treatments and medications. So I started my acupuncture on my calves, hands and ears to improve my blood circulation, digestion, nausea and appetite. Dato Master Leong hand is very fast, I didn’t even realize he had finished inserted all the 10 silver acupuncture needles on my body. The needle then connected to the dialysis machine to activate the blood circulation and qi. the Many people might wonder is it pain? Even myself before I did the acupuncture I thought it is painful. Actually it is not painful, the pain is like ant bite only. Well that depends also on the person who did the acupuncture for you. If he or she is skillful like then the procedure is no really painful. After that I lay there for 30 minutes, took a nap. After the acupuncture session I feel fresh. I received 2 weeks of medication. After taking all these tablets I find that my stomach not easily bloated and my digestion has improves. Overall, I feel much better. Thou nausea still attack on and off, I am going back for my acupuncture treatment again next week. This is Vera’s review and verdict about her Acupuncture Experience at The Tole Acupuncture Herbal Medical Centre. Vera’s concern is shoulder pain (shoulder arthritis+carpal tunnel syndrome) due to over use of muscles from using computer and old injury from carrying heavy IT equipments. Diagnosis: Numbeness around shoulder and pain when using finger. Treatment: 30 mins acupuncture treatment with modern electronic dialysis. I was told to sleep face down as the treatment involved application to the back area. A pillow is placed on the face and neck area for comfort. A brand new set of 8 silver acupuncture needles are sterlized with alcohol and inserted at specific meridian points at the areas: center of the head, neck and right shoulder till elbow. Once the needles are inserted, it is plug connected with wires attached to a modern electronic device which emits electric current (ec) to simulate the 'qi' energy and blood. Initially I couldn't feel the (ec), thus they have to increase it to several level higher. The aim is so I can feel the treatment properly. Medicine pills were give with descriptions. Further consultations were offered to full treat these internal injury. 2 hours after the treatment and dinner, I can say my shoulder pain is not so severe and less numbness. All the silver acupuncture needles are individually packed and sterile to ensure hygiene and safety. 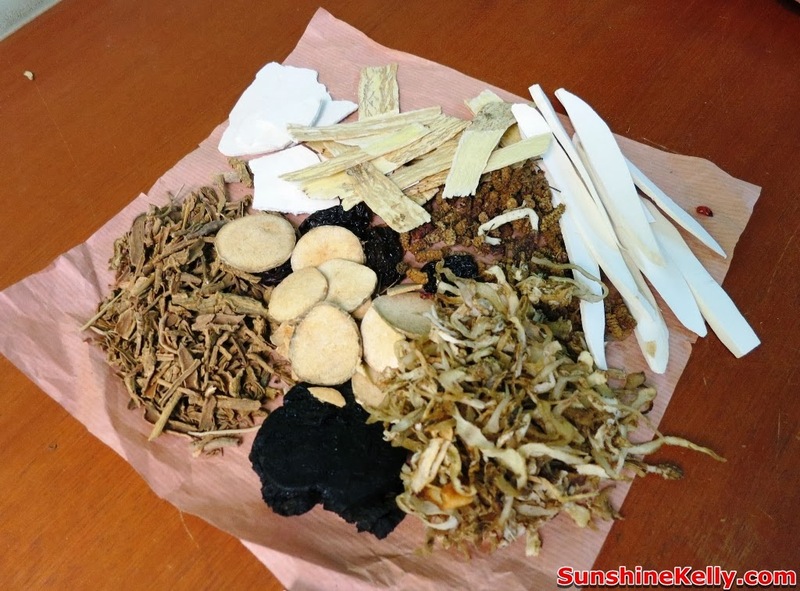 The herbs that Tole Acupuncture Herbal Medical Centre uses are mostly imported from China, some of it is locally grown at one of his branch in Puchong. All the herbs is of good quality and approved by many country standard therefore when the centre courier the medicine to their patient abroad there is no issue of custom clearance and health department approval. 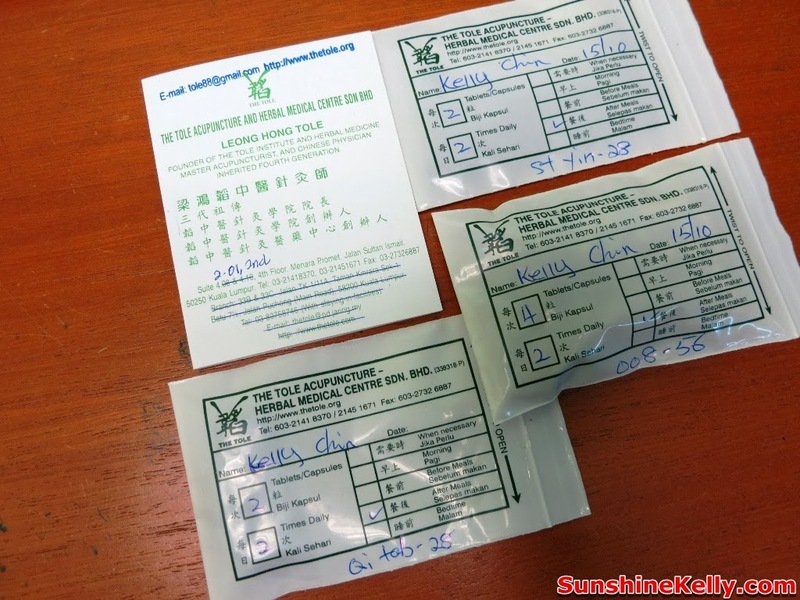 The acupuncture treatment is RM35 per session, herbs and medication is RM15 to RM35 for normal illness but for special case the medication is separately charges and RM2 for each silver acupuncture sterilize needle used. Usually Saturday, Sunday and Public Holiday is the peak period. During my visit, I also managed to interview some of the patients from local and also overseas. There are a lot of overseas patients who visit this centre yearly or twice a year. Some of them stay here for a few weeks or months to seek medical treatments here. Aika 15 years old from Dhaka. She suffered from Intermittent Explosive Disorder (IED) means violent outburst or uncontrollable rage. She and her dad flew all the way from Dhaka to Malaysia every year for her treatment. They stayed in Tole Acupuncture Herbal Medical Centre facilities for about a month. 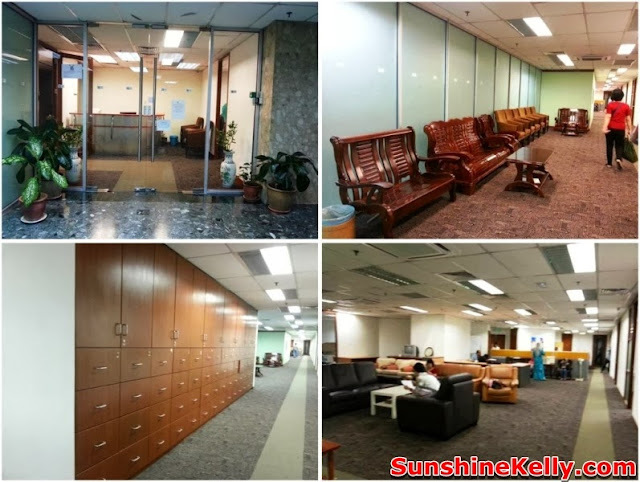 Tole Acupuncture Herbal Medical Centre also provides facilities to the overseas and outstation patients that need long term treatments. She received 2 times acupuncture session per day for a month. Her dad find that there are lots of improvements. After the first round of treatment she is calmer and does not become violent so often anymore. That is why they keep coming back for further treatments, hopefully her sickness can be fully cure. Pouya 16 years old from Iran wish to grow taller. After the 30 mins acupuncture session he did grow taller by almost an inch. He has to continue his treatment at least once a week, get enough rest and exercise to grow further. Plus I also encountered one of the local patient was recommended by western pediatrics neuro specialist to seek acupuncture treatment at the Tole Acupuncture Herbal Medical Centre. After the first treatment Mrs Phang's 5 years old daughter could stand up on her own without any assistant. After 2 weeks she is very happy that her daughter could walk, talk and response. Dato Master Leong magic hand is famous for neuro-acupuncture that is believes to improve the chi flow between neurons in the brains. This helps the patients to improve their reaction, movement, speech and behavior. He inserts the needles into certain points of the head. He has many autism, stroke, hyperactive and also chronic disease patients. Address: Lot 2.01, 2nd Floor, Medical Specialist Floor, Menara KH (Menara Promet), Jalan Sultan Ismail, 50250 Kuala Lumpur, Malaysia. Hi kelly..when did u do this acu? Can I have the contact number in Puchong. Thank you. There are a lot of functions in our body and only a doctor knows well that how they perform. Not only a doctor but also a physiotherapist knows better about these functions and the reasons of there irregular functions. If these functions irregularize so diseases occur and physiotherapist can help. Education is bridging the gap between darkness to life and exploring the importance of human being serving the nations, empowering the women and also establishing everyone is equal whether it is man or women and rush essay is there to help. Acupuncture is becoming a popular treatment for RSC/CRPS. It can be used when source of the pain syndrome is unknown. When a patient wants to try some old Chinese and herbal methods to increase immunity so Naturopathy can help your immune system in Many vale as prebiotic for your body and helps you to fight against the diseases and helps you live a happy life. I suggest all the patients that they must experience the trick once in their life.